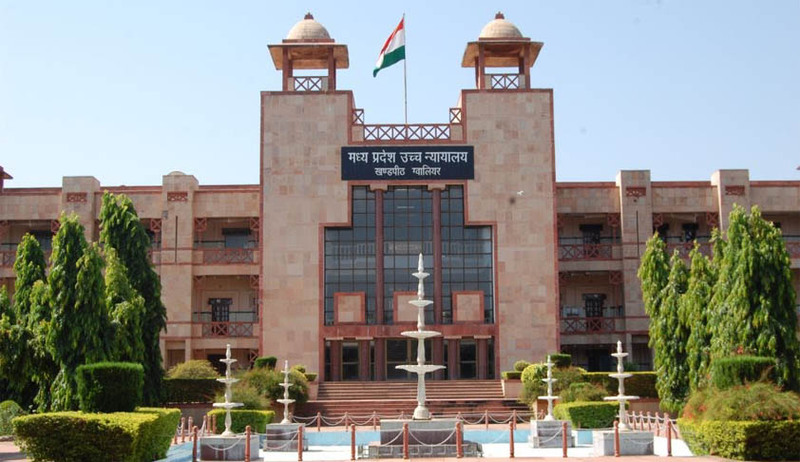 Madhya Pradesh High Court denied the allegation of bias on the inquiry panel which inquires in to the Sexual harassment allegations by the Gwalior District Judge against a sitting Judge of the High Court. Registrar Ved Prakash said that "Justice Ajit Singh was not member of the Transfer Committee, which comprised of two other senior Judges who had recommended transfer and also dealt with the representation of the ex-ADJ”. He also comes heavily on the Times of India reports about the story. “ The MP HC Chief Justice A M Khanwilkar had set up a three Judge inquiry penal, including Justice Ajit Singh, after Chief Justice of India R M Lodha had forwarded her compliant to him and sought a report”. It has also been reported, that Hon’ble Justice Ajit Singh, who is heading the inquiry committee, was a member of the Transfer Committee which earlier rejected the representations of the ex. ADJ made by her against her transfer to Sidhi. The correspondent has not observed due diligence as is expected of any responsible journalist to verify the factual position about the composition of the concerned Committees before publishing the one-sided version of the Ex. ADJ. As a matter of fact, Honb’le Justice Ajit Singh was not member of the Transfer Committee, which comprised of two other senior Hon’ble Judges who had recommended transfer and also dealt with the representations of the Ex. ADJ. The above mentioned two news items obviously are a sequel to earlier news reports published in the Times of India dated 4th and 5th August, 2014. It is disheartening to find that the official press release issued by the Registrar General on behalf of the M.P. High Court on 5th August, 2014, in response to the news items dated 4th August, 2014, emailed to Mr. Dhanajay Mahapatra on 5th August, 2014 at his times news mail ID (Dhananjay.Mahapatra@timesgroup.com) and on the following day again at his Gmail ID, after the Registrar General spoke to him personally (telephonically), has not been published. The newspaper of repute like the ‘Times of India’ before publishing such news, ought to observe due diligence by verification of the facts to be reported about Judiciary. It cannot merely report one-side version. For that matter, any news publisher must observe circumspection on reporting such sensitive matters. It is the bounden duty of all concerned, much less of media, to respect and preserve the dignity and majesty of judiciary. In reporting matters pertaining to judiciary a bare minimum care of thorough verification of facts to be reported as news must be adhered to. Other national newspapers have taken due care in this behalf so far and have shown maturity in giving due weightage to the press release dated 5th August, 2014 issued by the High Court. The same degree of sensitivity has not been shown by your correspondent even though the information of constitution of Committees (including Transfer Committee) is available on the official website of the High Court. None can deny the pivotal role of the media in dissemination of information and the rights of the citizenry to know as to what is happening around. However, reporting sensitive matters without proper verification and altogether ignoring, rather intentionally and designedly suppressing, the factual position narrated in the official press release of the High Court can not be countenanced. That can be nothing short of sensational reporting and yellow journalism. The readers have been misinformed and deprived of the correct factual information based on the official records of the High Court. We, however, appreciate the reporting of your Bombay correspondent (Ms. Swati Deshpande), who showed sensitivity in the matter by publishing news item in the Times of India dated 11th August, 2014. The aforesaid acts of commission and omission border on sullying the reputation of judiciary and is a matter of serious concern. It is expected that due attention shall be attached at your level in the matter, else the High Court will be constrained to take appropriate legal action against your newspaper. Therefore, the concerned authorities of the Times of India including Editor and Legal Reporter Shri Dhananjay Mahapatra are called upon to publish the version of the High Court given herein before as well as in the Press Release dated 5th August, 2014, with equal prominence. A copy of the previous Press Release is attached herewith for ready reference. A copy of this Press Release is being forwarded to the Press Council of India and P.T.I. for information and necessary action.